One of our goals here at Money Wise Pastor is to offer easy-to-understand tax help for pastors, because clergy taxes can be extremely challenging due to special IRS tax issues that apply to American pastors. 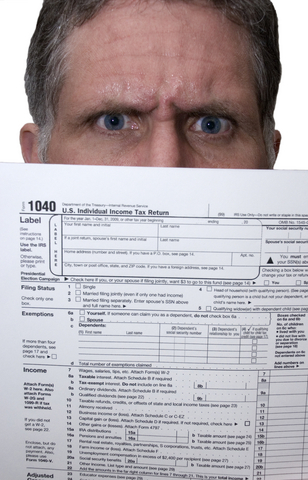 Pastors, ministers, and other members of the clergy are in a unique position when it comes to paying taxes to the U.S. government, which considers them employees for the purposes of paying federal income tax but self-employed for purposes of the Social Security tax. Because of this, pastors pay self-employment tax instead of the social security tax that traditional employees and employers pay. For more info, please read Are Pastors Self-Employed or Church Employees? Pastors are exempt from income tax withholding and are not obligated to have federal taxes withheld from their paychecks. Pastors may voluntarily choose to ask their church to withhold their taxes by completing a W-4 form requesting that a certain amount be withheld. Otherwise, pastors are required make quarterly payments like self-employed people do. Pastors are able to reduce their taxable income by taking advantage of the clergy housing allowance exemption as declared by their church board. Housing allowance declared by the board. Fair rental value of their home. Actual housing expenses incurred by the pastor in that year. Pastors in their first two years of ministry may opt-out of the social security program if they file IRS Form 4361 (and get it approved by the IRS) which states that they are conscientiously opposed to the social security program based on religious principle. Once Form 4361 is approved, the pastor would not be eligible to receive any form of social security benefits (including disability and death benefits to surviving spouse), Medicare, FEMA disaster assistance, Pell Grants for education, food stamps, or other social welfare assistance. Where Do Pastors Turn for Tax Help? Because of the special tax treatment for clergy, many American pastors seek the services of a professional tax preparer to take advantage of all the benefits that are allowed and to avoid paying any more tax than is necessary. Others, like myself, rely on time-tested clergy tax guides like the Zondervan Minister’s Tax Guide or Worth’s Income Tax Guide for Ministers. In future posts, I’ll explain each of these special clergy tax issues more in-depth here at Money Wise Pastor, and will do my best to offer pertinent tax help for other pastors. In the mean time, if you’re a pastor, please tell me…what is your biggest clergy tax question? Share your question in the comments and I’ll do my best to answer it in a future article. My name is Revonda Johnson I am a member of a church in Morganton North Carolina, My pastor has always filed what he gest from the churches he has pastored on his taxes but this church most member are very upset with my pastor because they are saying that he does not need to turn in what he makes as a pastor, they say he is only doing this to cost the church more money, I have known this man for 40 years and know that he is not trying to make it hard on anybody , He say’s that he it is required for him to turn in what he gets from the church and that he does have to pay taxes on what he makes which is 400.00 every quarter so I’m needing to know who is right the Pastor or the church? Hi Revonda, thank you for your question! 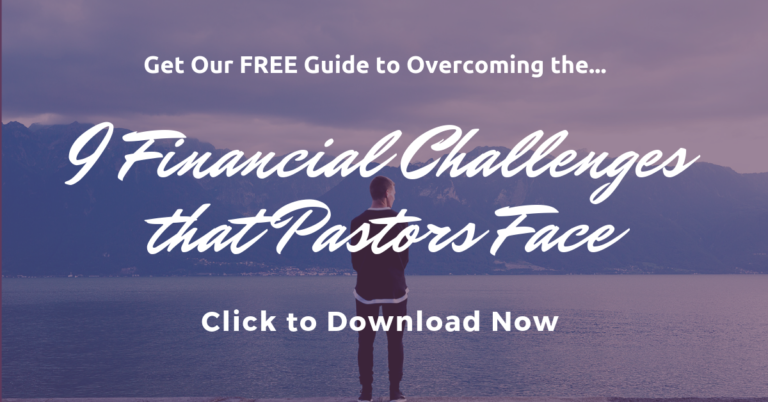 If your pastor makes only $400 per quarter, that adds up to $1,600 for the year. The pastor could declare that entire amount as a housing allowance, following the guidelines I’ve spelled out in this post (the housing allowance is the lesser amount of the pastor’s actual housing expenses, the amount the board declared for him, or the fair rental value of the pastor’s home). I’m presuming that the pastor’s actual housing expenses would exceed that $1,600 income, and if that is the case, then the entire amount can be considered as housing allowance and not taxable income for ther purpose of federal taxes. But, the pastor needs to request the housing allowance, and the church board must approve it and state the amount of the housing allowance in their official minutes of the meeting. Hi Rich: I am a pastor. I own my own home. If I purchase a new major appliance (stove, fridge, dishwasher, etc.) for my home, is that purchase subject to federal income tax? Hi Bob, thanks for your question. If you purchased a new major appliance, it would qualify as a housing expense, and would count toward your housing allowance exemption (from federal income tax) up to the limits allowed by law, as I described in my post.